In the 46 years since he first picked up a pair of drum sticks (jamming Hendrix tunes with his father at the tender age of three years old), Morgan Rose has carved out a career as not just a mightily hard-hitting drummer, but also as one of the most entertaining players of his generation. 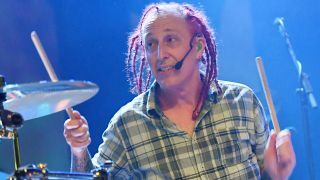 Rose’s work with Sevendust – a band that he co-founded way back in 1994 – is absolutely drenched in charisma. No wonder then that down the years, aside from his jaw-dropping work with his main band, Rose has been tapped to fill in for rock heavyweights like Mötley Crüe and Korn when last-minute gigs have arisen. Coming back to Sevendust, the band has racked up a slew of Top 20 records over in the States, shifting millions of albums in the process. Their latest effort, All I See Is War, is their 11th studio release (not counting 2014’s acoustic record Time Travelers & Bonfires) was released this year and it once again finds Rose on top form. What was the first drum kit that you owned? 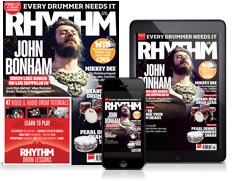 Who were your earliest drum heroes? Who inspired you right from the start? What is the one piece of gear you couldn’t live without? What’s the biggest onstage nightmare you’ve ever had? Who would you most like to take a drum lesson from? What do you see as your greatest strength and your biggest weakness as a drummer? Who do you see as a vastly underrated drummer? “My dad and I argue over this one. I say, ‘If 6 Was 9’ by Jimi Hendrix, but he says ‘Bullethead’. I don’t know... I remember it as ‘If 6 Was 9’. What’s the key to a great live performance? Clear or coated heads – do you have a preference? Dampened kit or let it ring?